For indigenous Amazonian populations, pracaxi is a name of really diverse tree. It not only is great for burning, because its stems are always dry, but also obtained from the plant oil (locked inside the seeds) is a valuable panacea for all diseases. What is more, it repairs, heals and regenerates skin and hair. For ages, it was used as a cure for all types of skin diseases, burns, cuts, spots, discolourations, difficult to heal wounds, acne, psoriasis and infections. Today, it is favourite cosmetic of women, especially mature, dealing with stretch marks and loose skin of face and body. It contains amazing conditioning and regenerative properties for hair. No conditioner can provide such a gloss and nourishment. Pracaxi oil will strengthen cell renewal of hair and skin. After all rejuvenation and regeneration are two the most desirable effects by women. It is also used against rubella and in order to eliminate scar tissue formed after varicella vaccine. On top of that, it stimulates production of collagen and elastin much better than commonly used in cosmetology, creams. 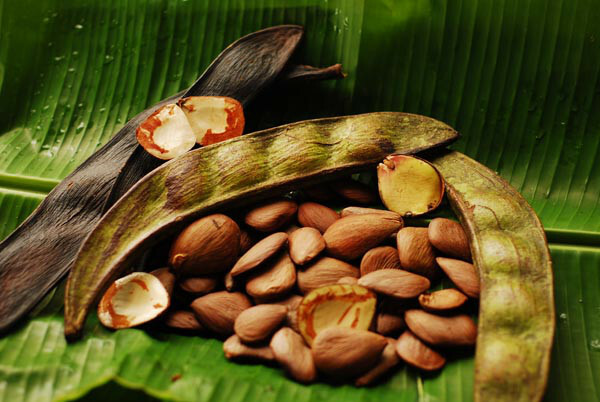 Not only women are keen on use of this oil, men as well, because it strengthens hair bulbs and prevents baldness. always choose cold pressed oil – this is the only oil with the power of valuable oils for our body and hair. oil does not like light, so it has to be stored in a dark glass bottle – otherwise it will go rancid. it is best to store it in the fridge, so that it would preserve its properties and freshness. pracaxi oil does not like germs or bacteria – those will just start to proliferate in the bottle, for this reason you have to wash hands before use of oil and make sure that packaging is always airtight.